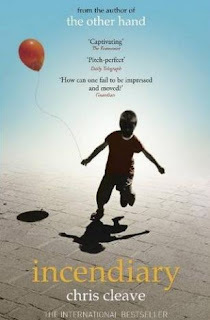 Serendipity Reviews: Sunday Salon - Are you serious about series? Sunday Salon - Are you serious about series? I have been taking a long look at all the books I read last year and realised I have a problem. I am a serial starter. I seemed to have read so many books that are the first in a series, purchased the rest of the series and then left them all sitting on my shelves, gathering dust. I realise that I am not serious about these series and really need to rectify it. I wondered if I never finished the series because I don't like to rush the excitement. If I have loved the first book,then I like to have the rest of the series to look forward to. Ok, this is not a bad thing, but there are so many series outstanding that need to be read and most of them have new books coming out this year. I will aim to read the remaining books that I have of different series. Are you like me, do you start a series and then leave it to gather dust? Or do you devour the whole series in one month? I bought two books this week from the charity shop and was quite pleased with my finds. 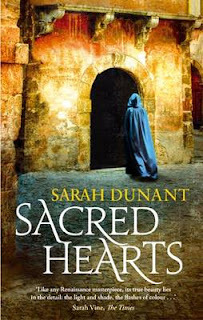 1) Sacred Hearts by Sarah Dunant. This was on my Friday Finds the other week and was one of the books chosen for the TV Book Club, so I was gobsmacked to find it so soon after being released with this new cover. 2) Incendiary by Chris Cleave - I read a fantastic review of this book over at Peter's blog and knew I had to have it. It is an epistolary novel where the female character writes letters to Osama Bin Laden. It is based around the events of 9/11 which I know is a difficult subject to read about, but one that should not be forgotten. As to my reading this week I managed to finish the two books I was reading last week. 2) The Secret Adversary by Agatha Christie - a book where I realised who the baddie was very early on. Also my first Agatha Christie book. I also managed to read Fun Home by Alison Bechdel, which is a graphical memoir. I am nearly a quarter of a way through The Mists of Avalon by Marion Zimmer Bradley which I am reading a chapter a day from. I really am enjoying it and hope that once I get past the half way stage I may be able to whip through it. I have read 17 chapters of Pride and Prejudice for the read a long, so I am up to date with this. So far, I have found it to be a very amusing book, yet I keep wondering how these characters would cope in today's society. I am half way through The Little White Horse by Elizabeth Goudge and I have just started White is For Witching by Helen Oyeyemi. In my non fiction reading, I finished reading How to Hear Your Angels by Doreen Virtue, which I won't be reviewing, because I just can't physically review everything. I have to say I did enjoy it. It was interesting to read about all the different angels and the different ways in which they apparently could be contacted. Hi, Vivienne! I see that I've piqued your interest on Incendiary. I'm sure you'll love it. It's a very satisfying read. I pushed myself a bit last year but still I have some I really need to finish this year! I tend to finish series but usually not in a timely fashion *smile*. I love the cover for Sacred Hearts. Is it paperback? Nice find at the charity shop! I find that when I hit the half-way point in a novel it's much easier to "whip through" to the end. I wonder why that is. This is especially true on my Kindle. Oh my - what a prolific reader you are! You have had quite a wonderful literary week. I far prefer standalone books to series and I'm really bad about reading follow ups. I don't even bother to buy follow ups anymore unless they're ones I was really looking forward to (like Catching Fire). I like books in a series, too, but mostly the suspenseful ones, like Sue Grafton's "alphabet series," and Perri O'Shaughnessy's series of books about a detective who lives in Lake Tahoe. I have now begun reading the "Stephanie Plum" books by Janet Evanovich, and I think I'm hooked. But I'm trying to stick to the library on those. Ok dunno if left a comment, internet is acting up. I'm a series starter too. I dont know why I do it, but a series needs to be fantastic to hold my attention. So far the only two series that I truly got hooked on were the HP books and the Twilight series. Youve got alot of reading in, Pride & Prejudice is one of my favorites. I'm like you - bad about finishing series. I love your cover of Sacred Hearts - it's much prettier than the US version. Peter - yes, I blame you completely. I hadn't heard of it before seeing it on your blog. Desert Rose - I wonder if there is a challenge to help people like us. Mary - Sacred Hearts has just been rereleased here in paperback and that is the cover. I was lucky to pick it out. Molly - I always start a series at the beginning. I do hate starting in the middle and not realising it. Amanda - I wish I didn't get as hooked so easily. Diane - I haven't heard of either of these series. Now I will have to look them up. Blodeuedd - a whole series in a month. That is good going. Laurel - the Sue Grafton ones have not appealed to me as there are so many of them. I like the look of the Stephanie Plum ones though. Naida - they were my most favourite series too. Kathy - I am wondering what your copy of Sacred Hearts looks like now. lol Viv-You've sure got a lot of books on the go right now. I do the same thing. I am so bad about starting a series and only getting past the first one. I buy them all and then they sit there. One series that I've read lately that I can say differently is the Uglies series. I just finished the third one and heading into the fourth. Happy reading and a Happy Sunday to you! I love that cover on the Sacred Hearts book! I look forward to reading what you think about the Incendiary book. This is the first I'm hearing of it, and I am picky about stories that I read that deal with 9/11. I started a few series, but I don't generally get all excited and collect all the books in the series, because I know I won't be reading them anytime soon. I've read 15 chapters of P&P, so I'm a bit behind. I found it very slow going, to be honest. I thought their conversations were inconsequential, and I had to force myself to be interested. I really hope it gets better! Actually, I think it's what you said, you just don't want to rush the excitement. There are some series I've been following for a while and still have a ways to go and I don't mind that. When it's a good character you've grown to love you want to have more books to look forward to you know. It depends with me. I either am compulsive and get so emmersed in that world I need to read them all NOW. And everything else around me gets neglected. Anne Rice, Jim Butcher... The Twilight books are big culprits there. Others I read one, think ooh I must get the rest and then forget all about it. I think it just depends how deep they get their hooks into you. I'm SO behind on almost every series! I love them though and I'm actually about to start a new one lol. Hi Viv, I love to follow series as well, but probably not as serious as you are. I just had to laugh at this! Yes, I'm just like you...a serial starter! I am sooooo pathetic about finishing series, even when I absolutely LOVE them. I think my problem is that I'm just too distractable. I really like that cover of Sacred Hearts too! I hope that you enjoy it - I thought that it was a great story. Oh I really liked Sacred Hearts. Just beware that it is a pretty slow and savory book. Not one to be rushed. I like that cover!